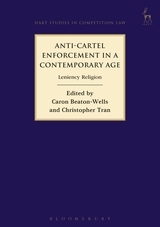 Leniency policies are seen as a revolution in contemporary anti-cartel law enforcement. Unique to competition law, these policies are regarded as essential to detecting, punishing and deterring business collusion – conduct that subverts competition at national and global levels. 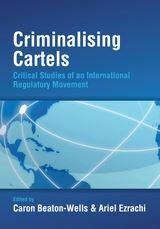 Featuring contributions from leading scholars, practitioners and enforcers from around the world, this book probes the almost universal adoption and zealous defence of leniency policies by many competition authorities and others. It charts the origins of and impetuses for the leniency movement, captures key insights from academic research and practical experience relating to the operation and effectiveness of leniency policies and examines leniency from the perspectives of corporate and individual applicants, advisers and authorities. The book also explores debates surrounding the intersections between leniency and other crucial elements of the enforcement system such as compensation, compliance and criminalisation. The rich critical analysis in the book draws on the disciplines of law, regulation, economics and criminology. It makes a substantial and distinctive contribution to the literature on a topic that is highly significant to a wide range of actors in the field of competition law and business regulation generally. 5. Anti-Cartel Enforcement in Japan: Does Leniency Make the Difference? 9. Leniency: The Poisoned Chalice or the Pot at the End of the Rainbow? 11. Leniency, Whistle-Blowing and the Individual: Should We Create Another Race to the Competition Agency? 12. Leniency and Criminal Sanctions in Anti-Cartel Enforcement: Happily Married or Uneasy Bedfellows? Caron Beaton-Wells is a Professor at the Melbourne Law School, University of Melbourne. Christopher Tran is a barrister at the Victorian Bar, Australia.